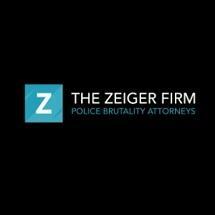 At The Zeiger Firm in Philadelphia, Pennsylvania, attorney Brian Zeiger strongly believes that all people have civil rights and that those rights should be respected, upheld and protected. That is why this is a law firm devoted solely to aggressively defending individuals' rights not only in Philadelphia, but also in Bucks, Chester, Delaware and Montgomery counties, and throughout southeast Pennsylvania. With three convenient locations in Philadelphia, Norristown and Feasterville, attorney Zeiger zealously represents his law firm's clients with the personalized, empathetic and compassionate attention and care they seek and deserve. Beginning with their free initial consultations, he shows himself and his law firm to be absolutely dedicated to client service. He takes the time to get to know each client, listen to his or her story, answer questions, and then devise the most innovative, efficient and cost-effective way to obtain the compensation they deserve. In addition, The Zeiger Firm accepts all major credit cards for its clients' maximum convenience.